According to a new report via Bloomberg, T-Mobile will report a key milestone — the addition of contract customers for the first time three years next month. The subscriber gains will be reported when T-Mobile announces its first post-Deutsche Telekom quarterly results. Bloomberg’s source asked not to be identified because the information wasn’t public, but the writing has been on the wall. Of course this information is refuted by the fact that a recent Kantar Worldpanel study indicated T-Mobile’s share of the mobile market has continuously slid in recent years. So what do we attribute this growth to? Well, it’s easy to point at the changes made since new CEO John Legere took over including casting T-Mobile as the “un-carrier” and their new Simple Choice contract-free rate plans. T-Mobile is focused on rebuilding its customer base with higher-paying customers especially in light of losing 2.1 million subscribers a year ago. Any signs that T-Mobile is improving its margins might help convince Deutsche Telekom it doesn’t need to abandon its 74% share of the company. Both T-Mobile and Deutsche Telekom declined to comment on second-quarter subscriber numbers. T-Mobile will announce their quarterly results on August 8th. ← T-Mobile Making Preparations To Bring Carly Back Into The Marketing Mix? 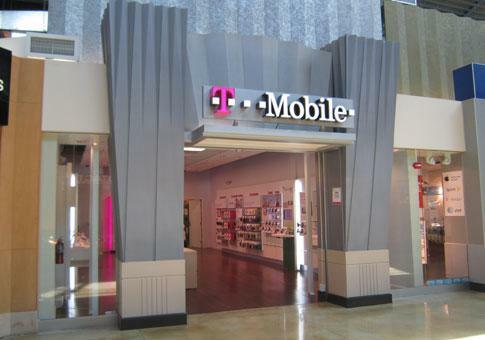 Before T-Mobile had it, it was one reason not to get T-Mobile. People left T-Mobile for the iPhone. Now, the people who left are likely still under contract elsewhere. People exiting T-Mobile contracts are now more likely to stay because of the improved phone lineup. That isn’t to say that the iPhone didn’t help, but it’s not THE reason to get T-Mobile. People who want to use an iPhone can use any carrier now. T-Mobile still has to convince people that the iPhone is better on their network than any of the others, and that’s where the Un-Carrier strategy comes in. Hard to call it “post-Deutsche Telekom” quarterly results, when TMUS is still 74% owned by Deutsche Telekom. The MetroPCS deal sold only 26% of Deutsche Telekom holdings to Investors.